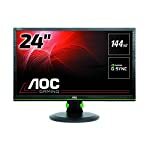 The Acer XB240H is a gamer friendly monitor in the 24″ size bracket. It might be small but it still packs all the features the discerning gamer will want out of a display. It’s responsive thanks to a TN panel with 1ms response time, it’s smooth thanks to a 144hz refresh rate and it’s tear free thanks to the inclusion of adaptive sync tech, G-Sync. 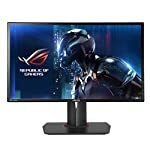 Whilst many are moving to bigger screens and higher resolutions for their entertainment rigs I think a 24″ 1080p is still a perfectly sensible option if you want to save desk space or simply prefer being able to take in the whole screen without having to twist your neck! The Acer offers all the flexibility you want from your stand. featuring a -5 to 35 degree tilt angle from. A swivel function of 60 degree in either direction and you can raise and lower up to 150 mm. The pivot gives you a 90 degree rotation allowing you to play in landscape or portrait orientation. This screen has the features you need to get good performance on the latest games. 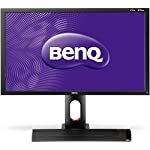 Fast refresh rates? Check. Adaptive sync included? We’ve got Nvidia’s G-Sync built right in. 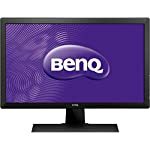 Fast LCD response times? The TN display is as fast as it gets with 1ms transitions. We give the Acer XB240H a 4.5 out of 5 rating. Want to know what existing owners of the monitor think? You can read real user reviews here. 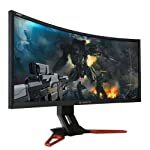 Should I buy the Acer XB240H? The XB240H is a gamer friendly monitor that offers a super fast 144hz refresh rate and Nvidia's G-Sync system packaged up in a 24" frame. If you are having some doubts about this purchase then why not read some real owner reviews and see what other buyers think.